Irish rock band formed in Dublin in 1983. 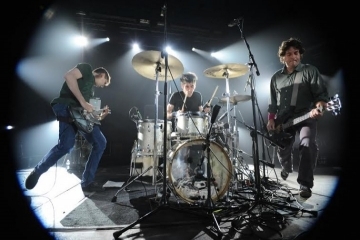 Since 1987, the band's lineup has consisted of founding members Kevin Shields (vocals, guitar) and Colm Ó Cíosóig (drums), with Bilinda Butcher (vocals, guitar) and Debbie Googe (bass). 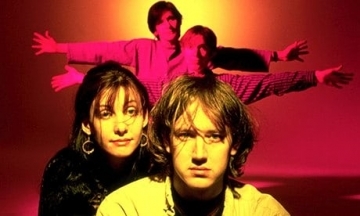 Their music, best known for its integration of dissonant guitar textures, ethereal melody, unorthodox production techniques, and androgynous vocals, helped to pioneer the genre known as shoegazing during the late 1980s and early 1990s. He is young and beautiful, his lips smell the ocean, his eyes are like dolphin ones, his body is the one of a modern statue, his music is golden ruins and mountain summit visions at night, he believes that poverty in Africa can save the world. 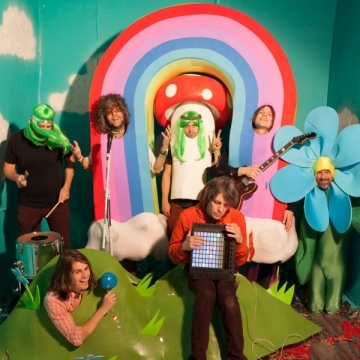 he Flaming Lips are an American rock band formed in Oklahoma City, Oklahoma, in 1983. The group recorded several albums and EPs on an indie label, Restless, in the 1980s and early 1990s. After signing to Warner Brothers, they released their first record with Warner with "She Don't Use Jelly" (1993). They then released The Soft Bulletin (1999), which was NME magazine's Album of the Year and later Yoshimi Battles the Pink Robots (2002). In February 2007, they were nominated for a 2007 BRIT Award for "Best International Act". The group has won three Grammy Awards, including two for Best Rock Instrumental Performance. They were placed on Q magazine 's list of the "50 Bands to See Before You Die" in 2002. Broadcast are an indie electronic band, founded in Birmingham, England in 1995. The band has released three albums as well as several EPs, singles and EP collections. Broadcast's original members were Trish Keenan (vocals), Roj Stevens (keyboards), Tim Felton (guitar), James Cargill (bass) and Steve Perkins (drums). Various other drummers played with the band, including Keith York, Phil Jenkins, Jeremy Barnes and Neil Bullock. As of 2005, the group consisted of the duo of Keenan and Cargill. Following the 2011 death of Keenan, Cargill remained as the only member. Electrelane were an English indie rock band, formed in Brighton in 1998 by Verity Susman and Emma Gaze. The band comprised Susman, Gaze, Mia Clarke, and Ros Murray. 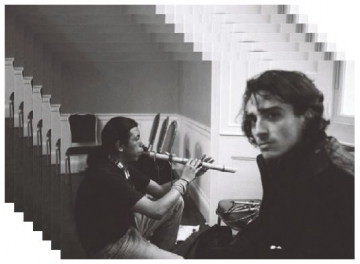 Their music drew from wide range of influences including Neu!, Stereolab, Sonic Youth, and The Velvet Underground. Although the band had strong feminist and political views in their personal lives, they generally preferred to not communicate that directly to their fans or through their music; one exception is their inclusion of the protest song "The Partisan," which they began playing while on tour in the United States during the months preceding the 2004 Presidential election. The band, when playing live, had a reputation for a focused show that minimised audience interaction and rarely included more than one encore. 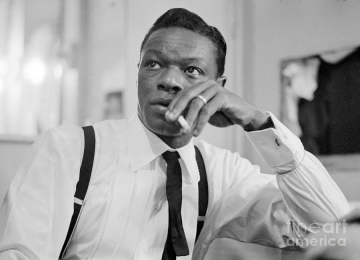 Nathaniel Adams Coles (March 17, 1919 – February 15, 1965), known professionally as Nat King Cole, was an American jazz pianist and vocalist. He recorded over one hundred songs that became hits on the pop charts. His trio was the model for small jazz ensembles that followed. Cole acted in films and on television and performed on Broadway. He was the first black man to host an American television series.Cole was inducted into the Alabama Music Hall of Fame and the Alabama Jazz Hall of Fame. He was awarded the Grammy Lifetime Achievement Award in 1990. He was inducted into the Down Beat Jazz Hall of Fame in 1997 and the Hit Parade Hall of Fame in 2007. A United States postage stamp featuring Cole's likeness was issued in 1994.He was inducted into the Rock and Roll Hall of Fame in 2000, as a major influence on early rock and roll,and the Latin Songwriters Hall of Fame in 2013, for his contribution to Latin music. Lesley Sue Goldstein (May 2, 1946 – February 16, 2015), known professionally as Lesley Gore, was an American singer, songwriter, actress, and activist. At the age of 16 (in 1963) she recorded the pop hit "It's My Party", and followed it up with other hits including "Judy's Turn to Cry", "She's a Fool", "You Don't Own Me", "Maybe I Know" and "California Nights".Gore also worked as an actress and composed songs with her brother, Michael Gore, for the 1980 film Fame, for which she was nominated for an Academy Award. She hosted an LGBT-oriented public television show, In the Life, on American TV in the 2000s, and was active until 2014. 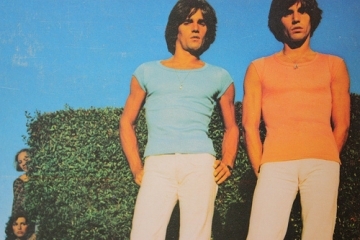 "It's My Party" is a pop song recorded by multiple artists since the 1960s. 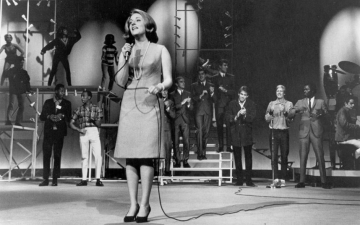 In 1963, American singer Lesley Gore's version hit #1 on the pop and rhythm and blues charts in the United States. It was the first hit single for producer Quincy Jones.The song lyrically portrays the discomfiture of a teenage girl at her birthday party when her boyfriend Johnny disappears, only to surface in the company of Judy, another girl, who is "wearing his ring," to indicate she's replaced the birthday girl as his love interest.The song's chorus, "It's my party, and I'll cry if I want to... You would cry too if it happened to you!" became a part of American pop cultural language as a phrase used to describe being utterly humiliated and miserable during an event that is supposed to be a happy occasion. 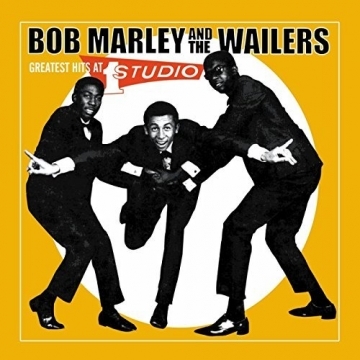 Bob Marley and the Wailers was a Jamaican reggae band led by Bob Marley. It developed from the earlier ska vocal group, the Wailers, created by Marley with Peter Tosh and Bunny Wailer in 1963. By late 1963 singers Junior Braithwaite, Beverley Kelso, and Cherry Smith had joined on. By the early 1970s, Marley and Bunny Wailer had learned to play some instruments and brothers Aston "Family Man" Barrett (bass) and Carlton Barrett (drums), had joined the band. After Bunny Wailer and Peter Tosh left the band in 1974, Marley began touring with new band members. His new backing band included the Barrett brothers, Junior Marvin and Al Anderson on lead guitar, Tyrone Downie and Earl "Wya" Lindo on keyboards, and Alvin "Seeco" Patterson on percussion. The "I Threes", consisting of Judy Mowatt, Marcia Griffiths, and Marley's wife, Rita, provided backing vocals.